Our drivers had to navigate a very damp, greasy track during testing on the Friday when the heavens opened and it rained all morning, not ideal on a track that hadn’t seen rain in months. It certainly made testing interesting while we attempted to set the car up for what was hopefully going to be a dry race the following day. We started off with what seemed like very slow lap times but as the track dried and with numerous adjustments throughout the day we got the car to where we thought it should be for race day. Our Boxster was running great but we still needed to find a few seconds from somewhere before the race. 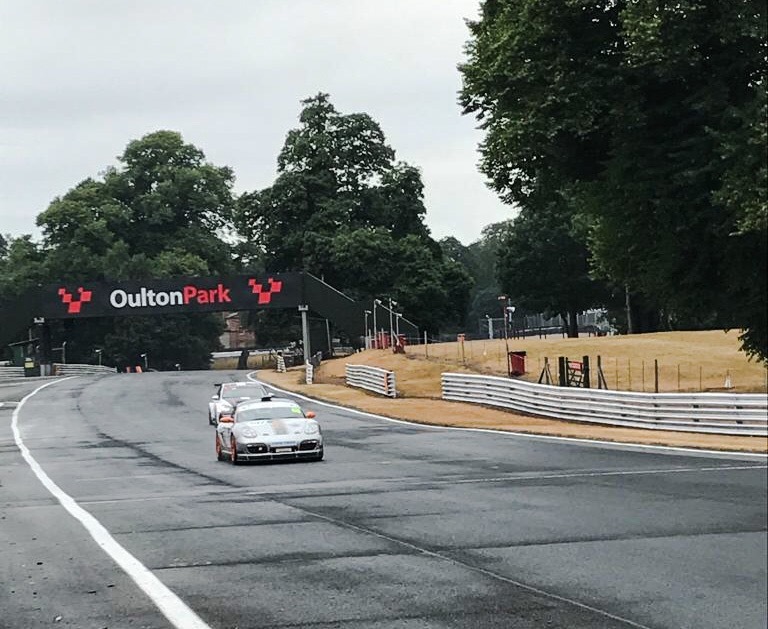 Thankfully Saturday was the dry day we had been hoping for and after only a couple of warm up laps, we set what was to be the fastest qualifying lap in our class, putting us 10th on the grid overall. 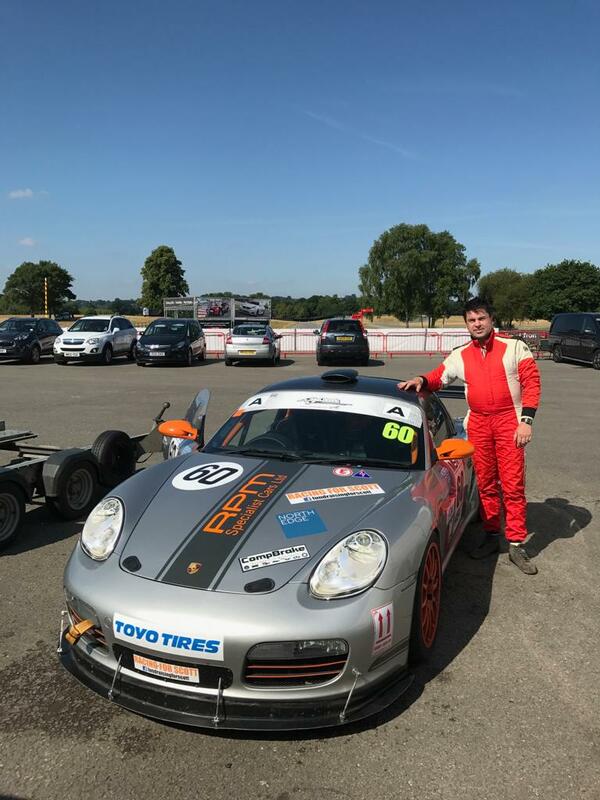 Richard had a great start to the race, fighting his way up to position 7 by lap five and building a good 7 second gap between himself and the chasing car in our class. We lost a few seconds in the pit stop and the chasing car found some serious pace in the 2nd half of the race, leaving our second driver ‘Andy’ with a fight on his hands. Andy managed to dig deep and take on the fight for top spot, crossing the line to take our first victory of the season with a class win and an impressive 5th place overall. 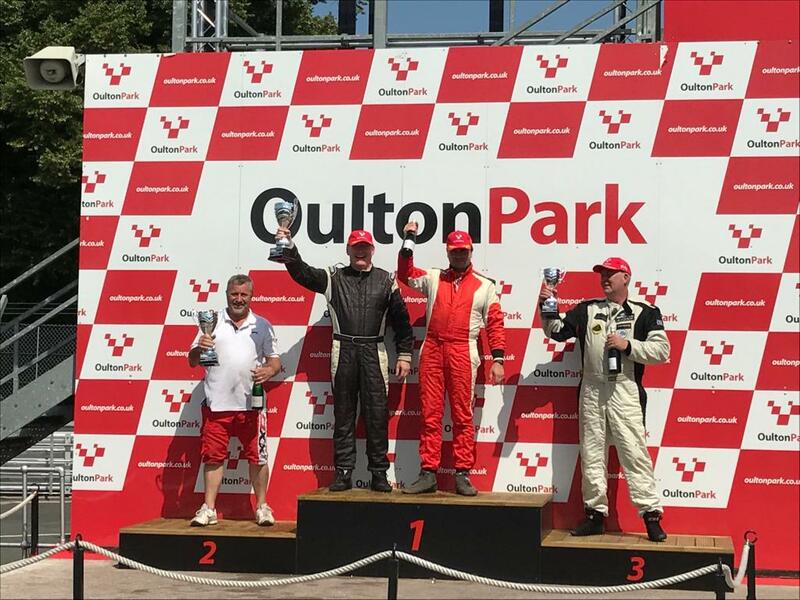 A great drive and a great result at Oulton Park which now sees us on top of the leaderboard for the 2018 season so far.